Presidents Day is February 20. 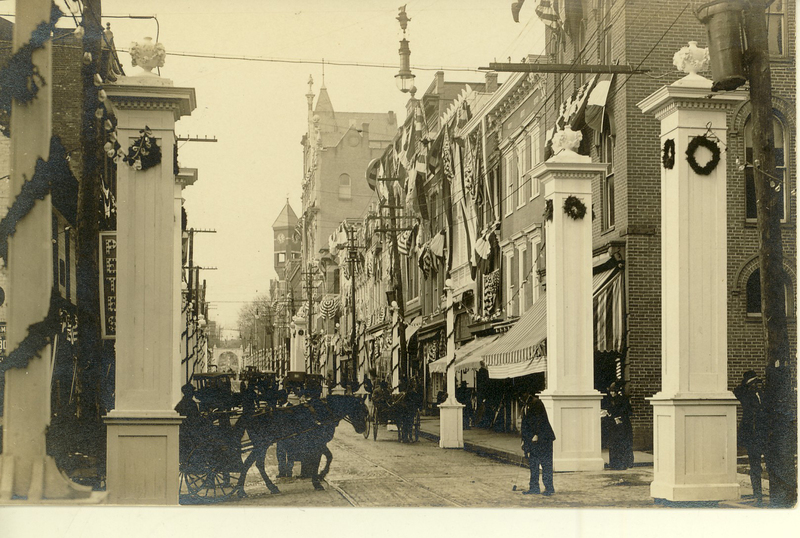 Staunton is a presidential city as the birthplace of the 28th President of the United States, Woodrow Wilson. His Presidential Library and Museum is celebrating the day with free admission for children and students when accompanied by a parent. Visitors on the 20th will be able to tour the Presbyterian Manse (Wilson’s birthplace) with a guide. Interpreters representing 1856 will bring the time period to life and share their knowledge of the Wilson family. Self-guided tours of the museum include galleries, his 1919 Pierce-Arrow limousine, and an interactive re-creation of a World War I trench. An additional treat for Presidents Day is a free lecture at 2 p.m. by Woodrow Wilson Presidential Library CEO Robin von Seldeneck. The event is part of an ongoing series commemorating the 100th anniversary of World War I. After you’ve toured the Presidential Library and Museum, head to Lewis Creek Market on Church Street for some “Presidential Favorites.” It’s a happy hour, of sorts, that includes wine, beer, and cider to please any president’s palate. The educational tasting is free, and occurs from 4:30 to 6:30 p.m.
What Would Woodrow Wilson Drink on Presidents Day? Or would he drink at all? Wilson was president when the Eighteenth Amendment was ratified in 1919. If you’re rusty on the Constitution, this is the entry involving alcohol. Specifically, the prohibition of it. The Prohibition Era lasted until the Eighteenth Amendment was repealed in 1933. That’s 14 years of homemade white lightnin’ and hooch for the citizens of the good ol’ US of A, but what did President Wilson do? Did the dude abide? According to Mark Will-Weber’s 2014 NYPost.com article, Wilson’s drink of choice was Scotch. Simon Ford, in his article for Liquor.com, suggests Wilson “stashed away supplies so that he could mix his favorite libations in secret.” Fact or fiction? Visit the Woodrow Wilson Presidential Library and Museum to pose the question to the pros. Presidents Day seems like a perfect time to do so.